Indiabulls Housing Finance, Bajaj Finserv, Bharti Airtel, Bajaj Auto and Dr Reddy's Labs were gainers while Infosys, TCS, Vedanta, Sun Pharma, Power Grid, Tech Mahindra were losers among Nifty50 stocks. 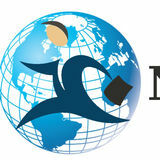 NIFTY FUTURE NIFTY FUTURE in trading session Nifty was 17.00 up Points to close at 11,669.90 . 0.15 percent up than the previous day. Chances of bullish phase is high as index is trading below tick average price level in hourly and daily chart . So we advise to buy it above 11690 for the target of 11710 and 11730 with strict stop loss of 11650. 9.60 with strict stop loss of 8.80. TECHNICAL VIEW DHFL LTD DHFL LTD as the stock has been trading resistance level ,it is bearish on daily and weekly chart after buying rally ,confirming downside movement. It is bearish on RSI is also giving sell signal .So sell it below 172 for 170 and 168 with strict stop loss 174. 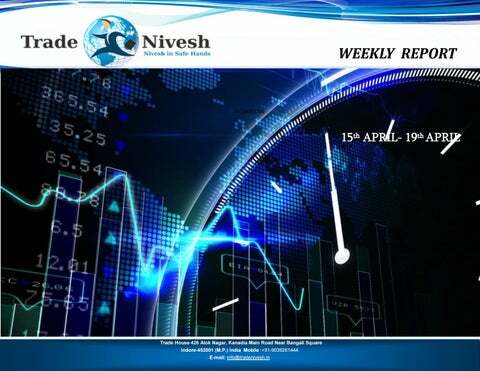 WEEKLY REPORT DISCLAIMER This document is solely for the personal information of the recipient, and must not be singularly used as the basis of any investment decision. Nothing in this document should be construed as investment or financial advice. Each recipient of this document should make such investigations as they deem necessary to arrive at an independent evaluation of an investment in the securities of the companies referred to in this document including the merits and risks involved, and should consult their own advisors to determine the merits and risks of such an investment. Reports based on technical and derivative analysis center on studying charts of a stock's price movement, outstanding positions and trading volume. The information in this document has been printed on the basis of publicly available information, internal data and other reliable sources believed to be true, but we do not represent that it is accurate or complete and it should not be relied on as such, as this document is for general guidance only. Trade Nivesh shall not be in any way responsible for any loss or damage that may arise to any person from any inadvertent error in the information contained in this report. Trade Nivesh has not independently verified all the information contained within this document. Accordingly, we cannot testify, nor make any representation or warranty, express or implied, to the accuracy, contents or data contained within this document. While Trade Nivesh endeavors to update on a reasonable basis the information discussed in this material, there may be regulatory, compliance, or other reasons that prevent us from doing so. Investment in equity & Commodity market has its own risks. We Trade Nivesh shall not be liable or responsible for any loss or damage that may arise from the use of this information.